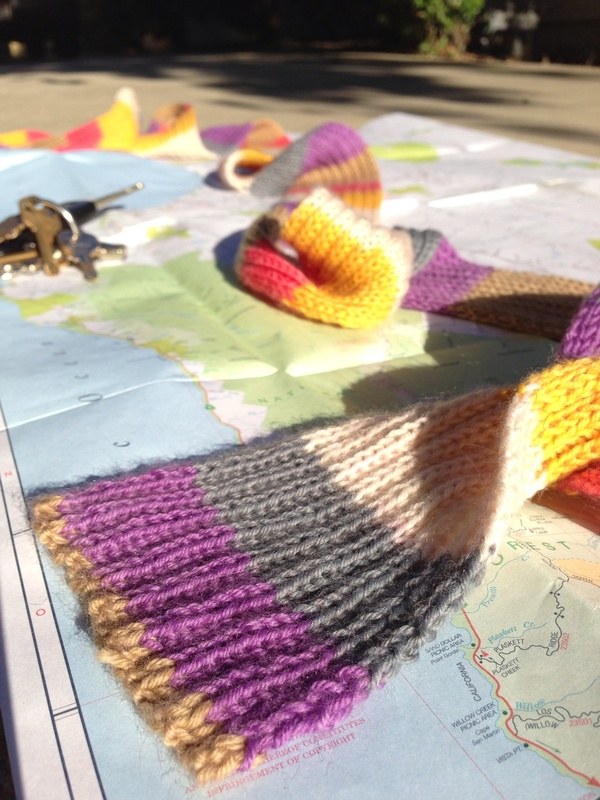 - "On the Open Road" from "A Goofy Movie"
I christen this my Highway 101 scarf. It sat in my lap in the car, on the plane, on the beaches of two different rivers, and even, occasionally, at home in my knitting chair where it and I belong. The yarn is Knit Picks Felici self-striping sock yarn in the colorway "Time Traveler". Somebody go back in time and figure out where the summer went. How is it possible that Labor Day is in two weeks? I love it! My time travels have been mostly knitless this summer, as they have included lots of camp and kids. In the past, this mattered not, now I find myself too brainless to knit after a day of kids...perhaps I need to go back in time?